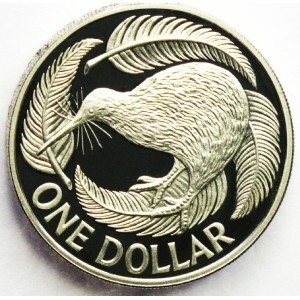 Home » Forex Trading Strategies » How to Profit from Important New Zealand Economic Data Releases? Several times in a month the release of New Zealand key economic data give traders the chance to lock in profits. For the successful implementation of this strategy, several conditions need to be fulfilled. First of all, you need to be using the services of a forex broker who offers the NZD/USD for trading. Secondly, the spread should not be larger than 4-5 pips, and it should be fixed. The latter is an absolute must because the bid/ask difference tends to widen significantly prior to important data releases when the spread is floating. That is something you really want to avoid with our particular scalping strategy. Last but not least, the company whose services you are using should be executing stop orders at requested price when the market is open. It is a good idea to have that checked in the General Terms of the forex company in advance. The indicators suitable for our purposes need to be with high expected market impact because volatility is what we are looking for. Such economic data for New Zealand include: trade balance; NBNZ business confidence; NZIER business confidence; the Reserve Bank of New Zealand interest rate decision; GDP; Manufacturing PMI. A couple of minutes prior to the release you should be logged into your account, ready with two stop orders on NZD/USD: the first one should be an order to buy the forex pair at a price 6-7 pips above the market level (you are looking at the ask chart for this one) and the second should be an order to sell at a price 6-7 pips below the current market price (you need to be looking at the bid chart for this order). It will be perfect if the platform allows for placing both stops as One Cancels the Other (OCO) order, so that when one gets executed, the other one is simultaneously cancelled. The volume is something that you need to decide for yourself depending on the money available in your trading account. Both orders are placed no more than 10 seconds before the time when the awaited economic indicator is to be released. In the meantime, you constantly adjust the placement prices, so that they are 6-7 from the market, as discussed above. What happens most often is that the market makes a sharp move to the upside or downside depending on the released figure. The direction does not matter for you because you have a couple of stops to cover both scenarios. One of your pending orders gets executed at the specified price, whereas the other gets cancelled. In most cases at the moment of your entry you are already on profit because the indicators listed above trigger high short-term volatility. Closing your NZD/USD position is the single moment that you need to pay special attention to. You should not be very greedy because the rapid movement can hastily reverse and result in a trading loss for you. Everything between 30 and 50 pips of profit is a reasonable target. After all, this is scalping strategy rather than a longer term one. Sometimes, hopefully in rare cases, it is possible that the currency pair make a false movement up or down, trigger the wrong stop and continue in the opposite direction. Then, it is vital for you to close your position immediately to avoid a sizeable loss. In such cases waiting for the NZD/USD to return to its previous levels, so that you can close your position in the green is a serious mistake that can cost you dearly! This article expresses the opinion of Profitease.com, which is based on chart observations. It should not be taken as advice on buying or selling any financial instrument! Profitease.com does not accept any liability for losses or other damages endured as a result of using this article for trading purposes!